So, you may be asking yourself, "why dehydrate food?" as there seems to be plenty of food on the grocery store shelves, at least the last time I checked there was. It may be frightening to think that in the not-too-distant future the grocery store shelves may be empty from rampant shoppers who have heard of the possibility of food shortages. How could this possibly happen in America – the land of plenty? It's hard to believe that America could be anything but. The only time in my life that I've witnessed empty shelves in the grocery stores is when the threat of a hurricane is announced. Grab our free Six Simple Steps eBook today (scroll down the page a little); it covers the necessary steps to safely dehydrate fresh (and frozen!) fruits, vegetables, and (cooked) meats! A great way to save cash is by dehydrating fruit and vegetables. Fact: you do not have to store the fresh foods in the refrigerator for days and weeks at a time. When the foods have been dehydrated they can last for years without electricity – and that's a great energy savings right there. The most compelling answer to my question of "why dehydrate food?" was realizing that inflation is really starting to take effect. This gives us all great concern over our weekly food budgets right now ... and with the advent of contagious diseases (hopefully not) spreading our way – stock up your pantry now, in case you get quarantined. One of the reasons why you should dehydrate food: It's affordable and very easy to set up at home. Simply check out dehydrator reviews online and choose which dehydrator suits your home situation best. If you are a large family, you may choose a dehydrator with the capacity to have nine trays dehydrating all at once. For just the two of you, maybe a simple four- or five-tray dehydrator would be sufficient. There are many brands of dehydrators – some have stackable trays and some have trays that pull-out like a chest of drawers. 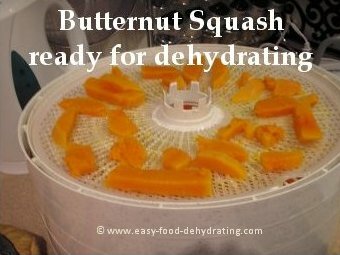 I have one of each type of dehydrator. I have not found one to be better than the other but I have found unique purposes for each. The pull-out trays can allow the dehydrator to be used for proofing bread dough by simply leaving the bottom tray in and omitting the trays that would be above it. You could call it a day right there or go one step further and protect your dehydrated packages by placing them into Mylar bags – made out of shiny un-tearable material – which keeps out light, moisture, air, and yes, bugs – depending on where you intend to store them, i.e. the garage, for instance. The Mylar bags are also sealed but there is no need to vacuum them. Simply use a sharpie pen to write the contents on the bag and date it. A different kind of savings can be achieved and that is in the way of space saving! Eight whole bunches of celery can be stored in one quart mason jar! Can you believe that? And it takes no electricity – great energy savings! - and no fridge space to store it either! Home › Dehydrating Food Articles › Why Dehydrate Food?